In this episode, we will deal with a number of recordings of this mawwāl, the first and oldest of which is by Sheikh Yūsuf al-Manyalāwī recorded in 1909 by Gramophone on two sides of a 30cm record, order # 012508, 012509, matrix # 1708 C, 1709 C. This recording is excerpted from the “Complete Works of Sheikh Yūsuf al-Manyalāwī” published in October 2011 by AMAR. One year later, it was recorded by ‘Abd al-Ḥayy Afandī Ḥilmī with the same record company, but this time on one side of a 30cm record, order # 012572, matrix # 133 Z. 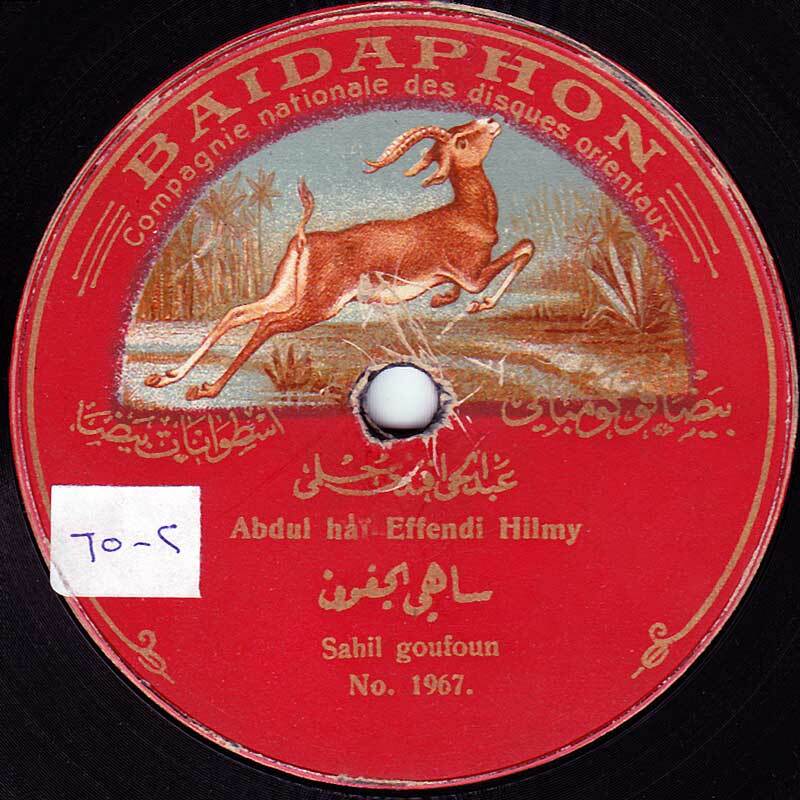 There is also another recording of ‘Abd al-Ḥayy Ḥilmī made the same year by the national record company Baidaphon on one side of a 27cm record, # 1967. 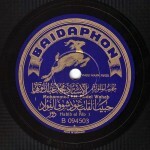 Around 16 years later, Ṣāliḥ Afandī ‘Abd al-Ḥayy recorded it with German record company Polyphone on two sides of a 27cm record, order # V 43795, V 43796, matrix # 6546 AR, 6547 AR. 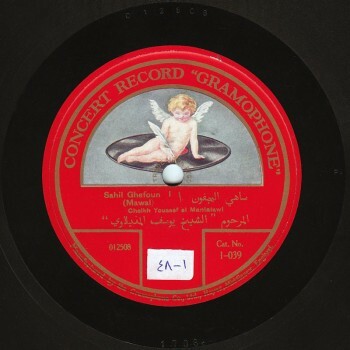 During an Egyptian Radio concert in the late 1940s, Ṣāliḥ Afandī recorded it again. The recording is excerpted from a waṣla to the bayyātī maqām. The last recording we will deal with is of Sheikh Muḥammad al-Nādī, made during an Arabic Music Institute concert in the mid-1960s. Mawwāl “Sāhī el-gufūn” is among the mawāwīl that were recorded many many times. The quite different recordings share some characteristics but can’t be considered similar. “Sāhī el-gufūn” is an a‘raj mawwāl, i.e. composed of 5 hemistiches ending with the same rhyme except for the fourth hemistich. It was usual to go beyond the function of the rhyme word by exploiting its different meanings in each hemistich. In “Sāhī el-gufūn mā kafāk el-hagr yā sāhī”, the rhyme word “sāhī” means “thee with the absent-minded look”, i.e. sleepy. In “Farḥān bi til‘ab we ‘an waṣl el-shagī sāhī“–and in another story it is “we ‘an ḥāl el-shagī” –, the rhyme word “sāhī” means “heedless”. In “El-lēl yṭūl yā amar sahrān ‘alēk sāhī“, the rhyme word “sāhī” implies “ḥāris” that means “guardian”. In “Ḥisbak te’ūl mudda‘ī yā mgannin el-‘ushshā’, Dā el-alb lissah garīh we-el-kibd li-el-sāhī”, ‘’sāhī” is a continuation of the letter “l” of the word “lissah”, implying that “the heart is still wounded, and the liver is also still wounded”. “li-el-sāhī” or “lissāhi” meaning “still wounded”. We will discuss 6 recordings in this episode, but obviously will not listen to all of them. Yet, we will listen to as much as the duration of this episode will allow. 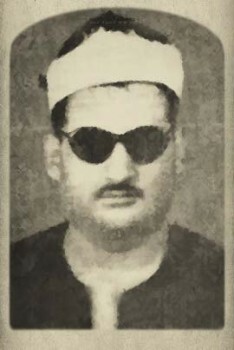 the last recording is of Sheikh Muḥammad al-Nādī, taken from a Higher Institute of Music concert in the 1960s. The 6 almost totally different recordings only share very few points. Yet, the performers had surely heard each other’s performances. Sheikh Al-Nādī had surely listened to Salih ‘Abd al-Ḥayy Ḥilmī, to Sheikh Yūsuf and to ‘Abd al-Ḥayy. 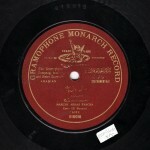 The two almost similar recordings are both of Ṣāliḥ ‘Abd al-Ḥayy. Each mawwāl was supposed to be preceded by a layālī passage. Let us listen to the layālī in Sheikh Yūsuf’s mawwāl, or to a short excerpt of it. Let us now listen to the introductions of Sheikh Yūsuf al-Manyalāwī, ‘Abd al-Ḥayy, and to one of Ṣāliḥ ‘Abd al-Ḥayy’s mawāwīl. First, Sheikh Yūsuf al-Manyalāwī’s infinitely calm and prudent introduction, then ‘Abd al-Ḥayy’s popular style introduction, whereas Ṣāliḥ ‘Abd al-Ḥayy’s introduction is impish. Let us notice the three different performances of “Sāhī el-gufūn”. Also, let us have a look at the accompanying musicians, the way they interpret and perform the murāsalāt: Yūsuf al-Manyalāwī’s murāsala with Muḥammad Al-‘Aqqād, Muḥammad ‘Abduh Ṣāliḥ in the Radio recording, and ‘Abd al-Ḥamīd al-Quḍḍābī in Ṣāliḥ ‘Abd al-Ḥayy’s Polyphone record. It seems they had heard each other’s performances, yet Muhammad ‘Abduh Ṣāliḥ seems to be playing music out of his mouth more than ‘Abd al-Ḥamīd al-Quḍḍābī, probably because he was more well acquainted with it. This does not negate the greatness of ‘Abd al-Ḥamīd al-Quḍḍābī in his murāsala with Ṣāliḥ ‘Abd al-Ḥayy. Then listen to Muḥammad Ibrāhīm and Muḥammad ‘Umar in both ‘Abd al-Ḥayy’s recordings. Yet, the variety is pleasant. 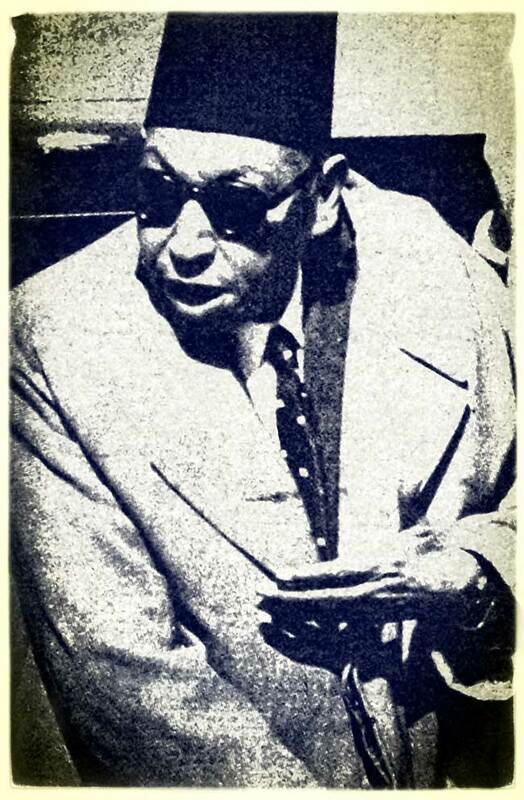 The introductions in both Ṣāliḥ ‘Abd al-Ḥayy’s recordings are interestingly almost fully concurrent, same as the murāsala, despite the fact that he surely had not listened to ‘Abd al-Ḥamīd al-Quḍḍābī’s performance. Even if he had, he surely did not memorize it, but did excel in the manner and the imitation. Let us now go to the third hemistich “El-lēl yṭūl yā amar”. The concurrence between Sheikh Yūsuf and ‘Abd al-Ḥayy Ḥilmī is extraordinary. The same concurrence does not exist with Ṣāliḥ ‘Abd al-Ḥayy who impishly sticks to the muḥayyar. As for Sheikh Yūsuf al-Manyalāwī, he performed to the bayyātī and did not shift to the muḥayyar in the third hemistich, even though the third hemistich should be the peek of the maqām. Yet, Sheikh Yūsuf keeps control and remains calm, two ideas that are often repeated these days. ‘Abd al-Ḥayy Ḥilmī shifts from the ḥijāz maqām to the bayyātī, as well as from the shūrī to the bayyātī. A very strange thing indeed. Let us listen to the four performances and note the murāsalāt and the muḥāsabāt. In the fourth hemistich “Ḥisbak te’ūl mudda‘ī yā mgannin el-ushshā’ “, there is a kind of disharmony in the “incomplete” murāsala between Sheikh Yūsuf and Muḥammad Al-‘Aqqād’s. It seems that Sheikh Yūsuf felt the record side was reaching its end while Al-‘Aqqād … well they were used to live performances and the idea of recording was still new to them. That is the reason behind the disharmony between Sheikh Yūsuf and Muḥammad Al-‘Aqqād’s –though pleasant and interesting–. Let us listen! Let us listen to “Ḥisbak te’ūl mudda‘ī“ performed by Sheikh Muḥammad al-Nādī, and notice the way he goes down from the maqām’s peek to its conclusion, i.e. to the original position of the maqām to the sikāh. Let us listen to Sheikh Al-Nādi’s great performance of “Ḥisbak te’ūl mudda‘ī yā mgannin el-‘ushshā’ “. Finally, there are two types of conclusion: a conclusion followed by taqasīm, and a conclusion that is not followed by taqasīm. Why? Because there will be some time left on the record that would be cut, or they could be singing “yā lēl, yā ‘ēn”. Whereas Ṣāliḥ ‘Abd al-Ḥayy’s conclusion in his audience-free Radio concert entered the dawr directly. The mawwāl‘s ending in a live performance was followed by the dawr without any transitional passage, whether a taqsīm, a dūlāb or an introduction. Whereas the record that imposed cuts on the waṣla logically required a conclusion. Let us listen to a sample or more of a conclusion on a record, as well as to Ṣāliḥ ‘Abd al-Ḥayy’s conclusion in the Radio’s concert. Since Yūsuf al-Manyalāwī’s version was made public through the “the Complete Works of Sheikh Yūsuf al-Manyalāwī” published in 2011 by AMAR on the occasion of Yūsuf al-Manyalāwī’s centenary, and also since Abd al-Ḥayy’s recording made by Gramophone will also be published with the release “ ’Abd al-Ḥayy Ḥilmī’s works” by AMAR in 2013, we will listen now to ‘Abd al-Ḥayy’s rarest version to the shūrī maqām recorded by Baidaphon with Muḥammad ‘Umar playing the qānūn. You have heard them talking and joking at the beginning of the mawwāl… This is such a great occurrence! Let us now listen to a beautiful version recorded on two sides of a Polyphone record of Ṣāliḥ ‘Abd al-Ḥayy singing to the muḥayyar accompanied by ‘Abd al-Ḥamīd Afandī al-Quḍḍābī (qānūn) and Sāmī Afandī al-Shawwā (kamān). 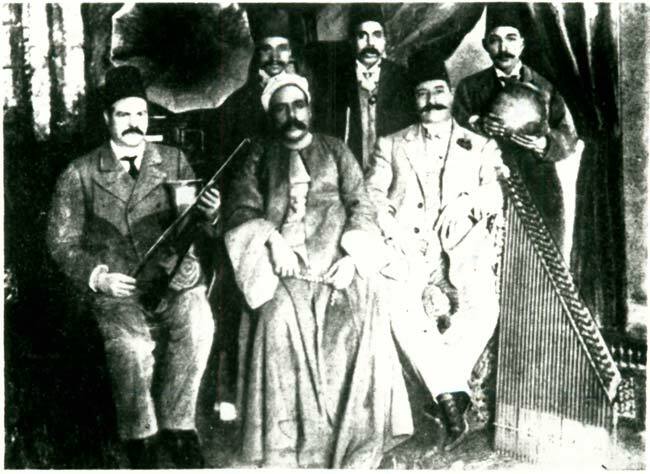 Both musicians are performing murāsala and muḥāsaba with the singer: the qānūn on the first record side and the kamān on the second record side. The murāsala performed by the kamān on the second side is reserved, leaving the murāsala to the qānūn, because the kamān is an arched instrument whose sound sometimes interferes with the singer’s continuing breath in the mudūd. It is thus better for the murāsala to be performed by a percussion instrument. Also, after the mawwāl moved from the popular traditions to classical music, the kamān became the only accompaniment of the muṭrib performing a mawwāl. Of course, it is not excluded that another instrument can also accompany the muṭrib. Let us listen to the recording and note the above-mentioned points as well as the creative taqāsīm performed by ‘Abd al-Ḥamīd al-Quḍḍābī and Sāmī al-Shawwā at the beginning and at the end of the record. We have reached the end of today’s episode.